Tailors from the Helsinki based Tailor Shop Sauma Tuomo and Olli were great tour guides in Florence. Consequently, I spent some time just hanging around and checking what the guys were up to - with my camera ready of course. So here it goes: a short video teaser of what's coming next fall from Tagliatore. And if you want to know what Tagliatore is up to this Spring, I suggest you take a look at DressLikeA. 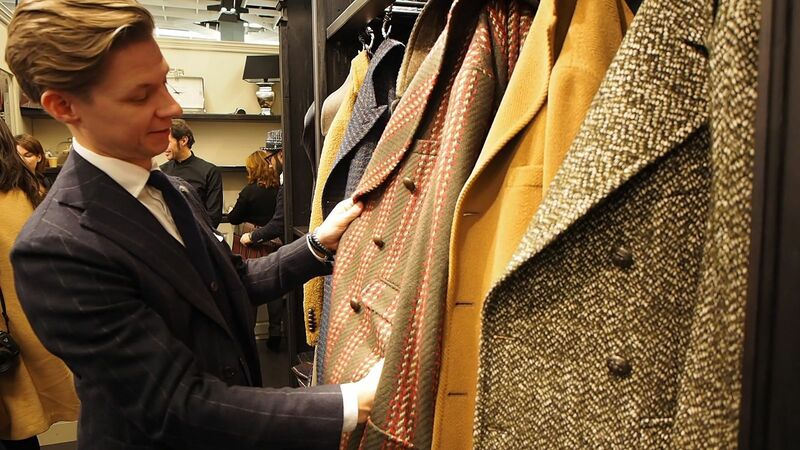 To put in short, it's still all about bold patterns and wide lapels along with outrageous vests. Teasers shortly coming out on Carmina and Gran Sasso as well so stay tuned.